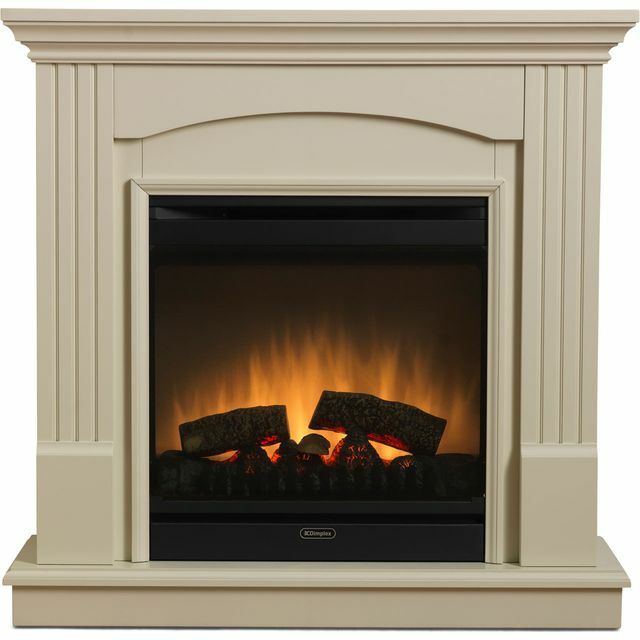 With a clean, modern design, this electric fire from Dimplex will be the focal point of any living room. It uses energy efficient LED lights to create an Optiflame® effect – this realistic fire illusion radiates a cosy glow. 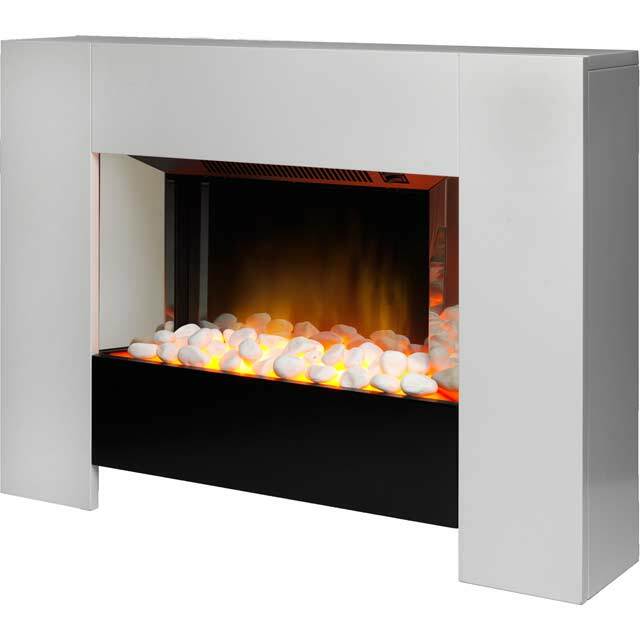 The fuel bed is made up of white pebbles which perfectly complement the gloss white finish of the surround. You can adjust the heat settings easily from the comfort of your sofa and, thanks to 2000 Watts of power, this model will keep you toasty on chilly nights. Very nice fire and focal point to any room. It gives a fantastic warm looking glow from the pebble bed with a realistic flame affect. Can be a wee bit noisy when first switched on but fades to the background after a few minutes. Fire looks really good. Would have liked more pebbles though, and the surface where they sit to be recessed downwards slightly to prevent additional pebbles from falling forwards onto the floor. The fan is quite noisy but nice and warm. Would also have liked adjustable fan speed, as it is the same on both heat settings, and the ability to change the heat with the remote, which is only on/off. I’m really pleased with this and to be honest should have read more before I bought it but there is no glass so the pebbles can be pulled away from the kids. The delivery was great and this does well to warm the room up. For me much better than the classic black glass heaters. I have wall mounted mine and I’m really pleased. Not ideal if you have kids picking of stones. Hopefully my little one will get bored of picking up the stones! Lovely fire looks soo cosy with the real flame look and the orangy glow gives out good heat too very satisfied with my purchase. Thank you. So much better than I expected, build quality is excellent, fire effect is brilliant and it's very quiet, absolutely love it, transformed the room. Highly recommend this fire! Bought on line so had not viewed product in the flesh. Fire in perfect condition on arrival and fairly easy for our builder to install. Electrician finished it off and it looks amazing on our living room wall. Could not be more delighted. Replaced an old brick fireplace and instantly updated the room. Can highly recommend.